On the first day of Raya, I started off the day by having a wonderful dim sum breakfast at one of the best dim sum restaurant in Sri Petaling – Pan Ki. 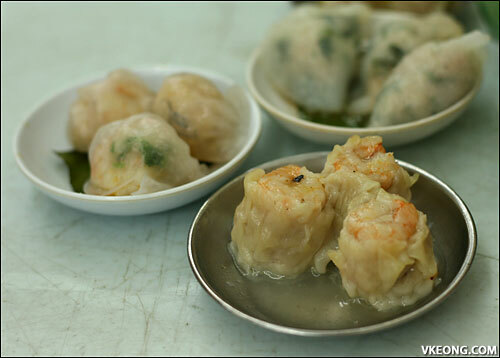 Surprisingly, it has the same Chinese name with Phang Key – another good dim sum restaurant nearby in Happy Garden. I don’t know if they’re related but their dim sum is really different from each other. 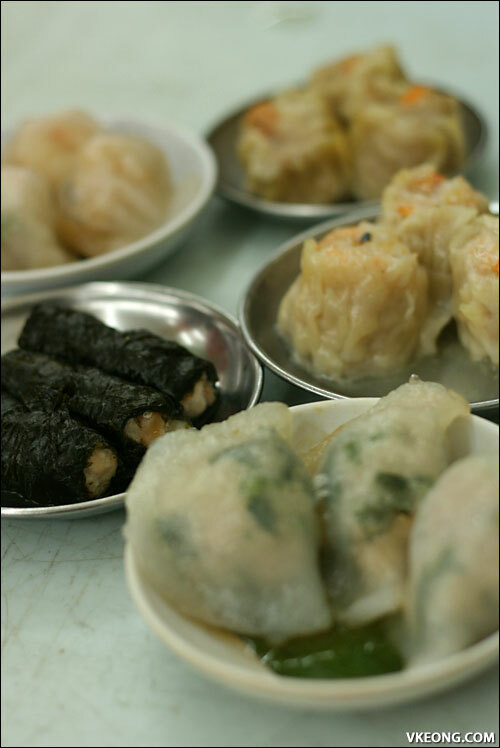 The variety of dim sum at Pan Ki is wide and they have a big steaming station. Bamboo steamers stacked as tall as a man are used to cope with the huge customer turnout. I had to wait for a while before finally getting a table for two. But the short wait has proven very worthwhile. 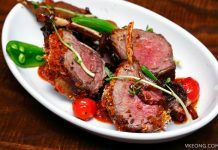 The Har Gao was nice with succulent prawns wrapped in thin translucent skin that didn’t break easily – a proof of the chef’s skill. 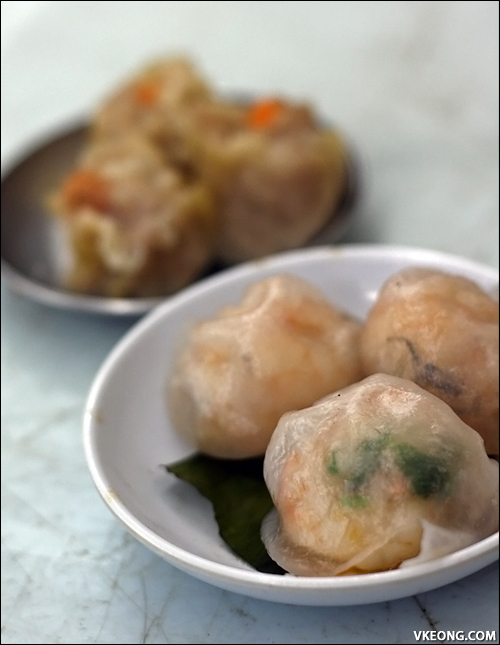 Other steamed dim sum like Siu Mai and Har Mai are pretty good too. Deep fried minced meat dumplings were crunchy and delicious. Most importantly, it did not have the undesirable odor from reused cooking oil. 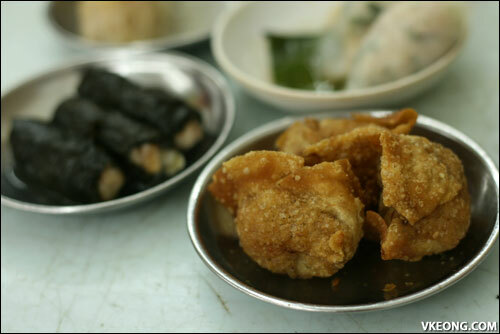 ‘Gai Wo Bao’ (鸡窝包) is a specialty of Pan Ki and it was promoted in many Chinese dailies before. 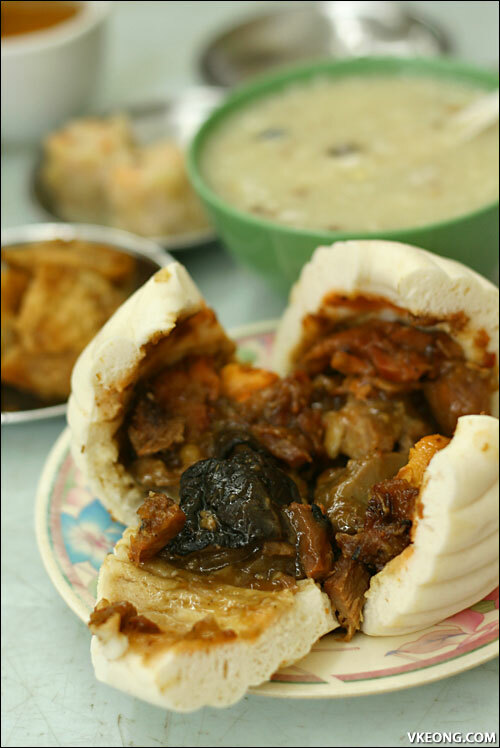 The bun has a curly shape with lots of different fillings inside like glutinous rice, chicken, mushroom and salted egg. So, basically it’s like ‘no mai gai’ wrapped in a bun. Even the taste is quite similar. 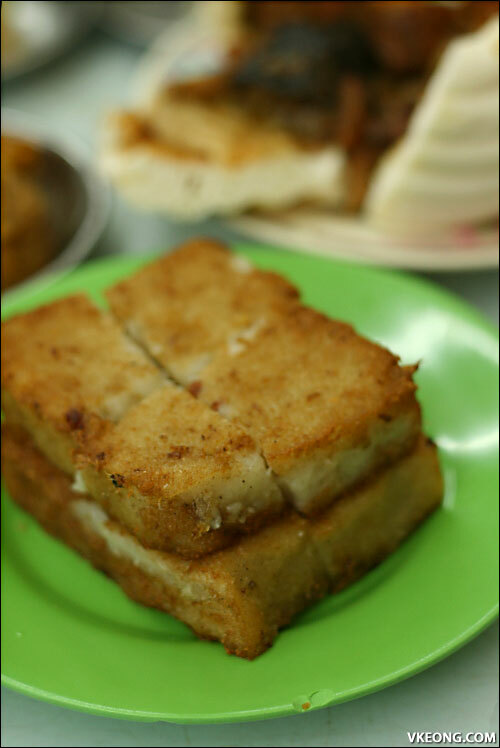 Hong Kong style fried radish cake is also a popular item in Pan Ki. But, I didn’t really liked it because it was quite oily. 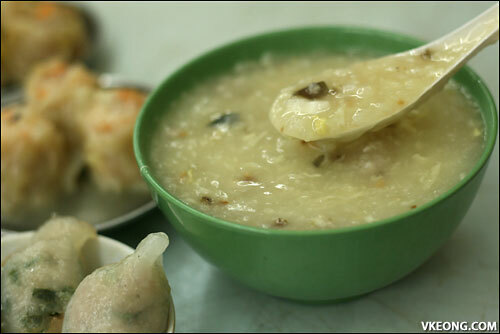 Then, we finished off with a small bowl of rich porridge which looked authentically gluey. If you like dessert, Pan Ki also sells good ‘Sai Mai Lou’ but you gotta be early before it finishes. A meal like this consisting of 10 different items including a pot of Chinese tea cost RM30.40. 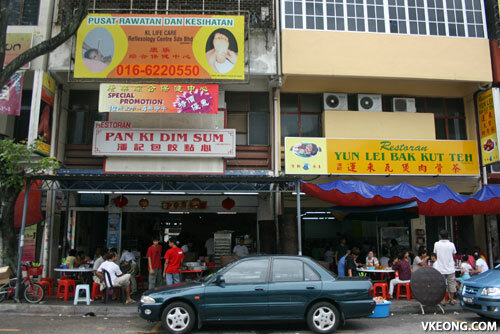 After working out the cost, the dim sum is priced roughly around RM2.50 to RM3.00 each. Pretty reasonable if you ask me, highly recommended. In case you didn’t know, Janbo the restaurant that serves dim sum buffet is situated just a bit further down the same road.